Are we in the ERA of e-Commerce? Home » Blog » Are we in the ERA of e-Commerce? Nowadays we see a lot of advertisements for online stores popping up in our social media sites. Have you ever wondered why there is a sudden evolution of too many online stores? What makes an online store more preferable than a conventional/ traditional store? After a short-notice research, we concluded that online store is opted both by sellers and buyers of the upcoming generation and the graph shows only progress without a pause or slow-down. Therefore we have jotted down few advantages of e-commerce in the aspects of both buying and selling. From the seller’s stand point, E-commerce has actually boosted their courage to start their own ventures since the break-through seems higher and the liabilities are comparatively lower. You don’t have to be financially very sound to kick start an online business be it selling a product or offering a service. Whereas to start a conventional business, the initial investments itself is sky-scraping. You will just need a few hundred dollars to develop your website which is the only major investment in the initial stage while the other expenses are minimal. Shop rent, electricity, labor wages, etc. are cut down. This increases the profit drastically. 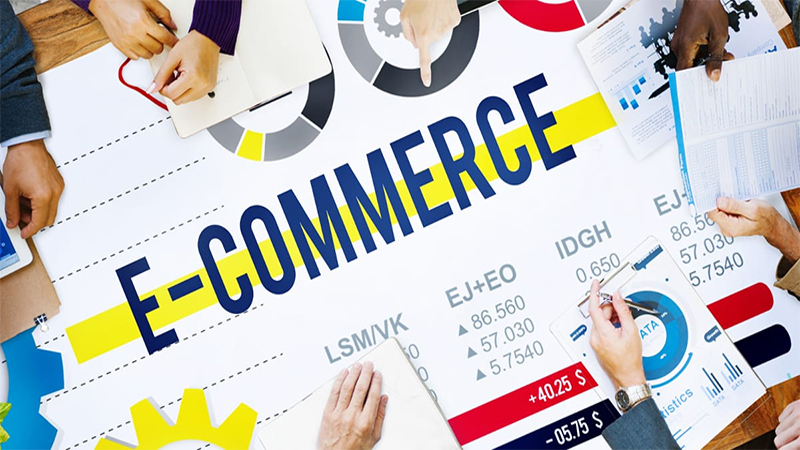 If you are planning to start a business with low set up cost, e-commerce will be your best shot. On opening a conventional store you are restricting your business to a narrow line covering only the people in and around the location of the store. E-commerce sites hits the larger crowd anywhere anytime. You can mark your brand internationally without any geographical restrictions. Thus it builds an international connectivity that takes your product to the person wanting it at any corner of the map. Since the profit in online mode is higher, as we mentioned earlier, blossom is also rapid. You can widen your business by making changes as and when possible without affecting the performance. Making changes in conventional mode is like moving mountains in many cases which actually hinders their growth. The reach is also wider which brings the farthest customer closer paving way for the growth of the business. You can hire a smaller size in everything when compared to the conventional mode. Be it labor, storage or office space, stocks etc. Since the products you sell are put online with the sufficient details, you can just stock up only the fast moving items as you don’t have to keep a sample of all that you sell. This in turn reduces the storage space. Therefore the number of Labor or staff to look after these also comes down. And so you can run a successful business with smaller space and minimal labors. Online shopping serves quicker and faster. You don’t have to waste time traveling, standing in long queues, arguing with the sales person etc., instead you will just have to look for your choice, pay in few clicks and bring home your goodies. Online shopping saves one’s pocket in many aspects. Since it is cost effective for the sellers, they cut down the vending price. So comparatively this mode is cheaper than conventional mode. It also cuts down your travel allowances. You can sit in your couch and buy your dream. Imagine traveling abroad just to buy your desired stuff. It is a complete exhaustion of time, money and energy. Or you will have to wait for your kith and kin to bring from there. But after the evolution of online shopping, buying stuff from a global store has become a no sweat event. These are just a few handpicked pearls from the ocean of its benefits. Owing to all these advantages, setting out an e-commerce has become the most sought business solution of today’s youth. If you are on among those who are waiting to start your own venture, then opening an online store will be your right choice. When this idea hits hard your head, Dynamisigns will be your best choice to develop your e-commerce website.